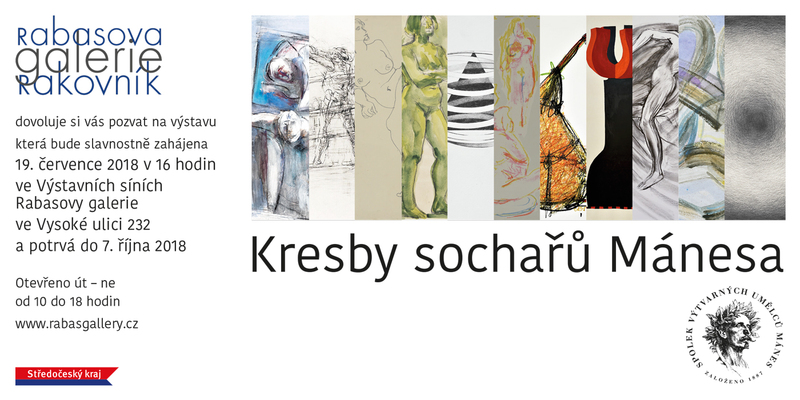 You are cordially invited to the exhibition Kresby sochařů Mánesa (Drawings of Sculptors of Manes Association). I’m member of the association since 2011 and I choose four drawings for this exhibition. Exhibition will take place in the Rabas’ Galery Rakovník between 19. July and 7. October 2018. The opening will be on 19th of July 2018 at 4 p.m.